Preservation Research Office is excited to be among the participants that the Pulitzer Art Foundation selected for the Marfa Dialogues program this year. The Pulitzer Arts Foundation, Ballroom Marfa and the Public Concern Foundation are bringing Marfa Dialogues to the St. Louis area to examine the ways in which art can serve as a catalyst for unexpected collaboration. This experiment is aligned with the Pulitzer’s current exhibition, Art of Its Own Making, which features artists who examine materials, environment, and how generative elements impact the works of art they create. Marfa Dialogues is supported by the Robert Rauschenberg Foundation. The dwelling at 2569 in St. Louis Place, demolished in 2008. 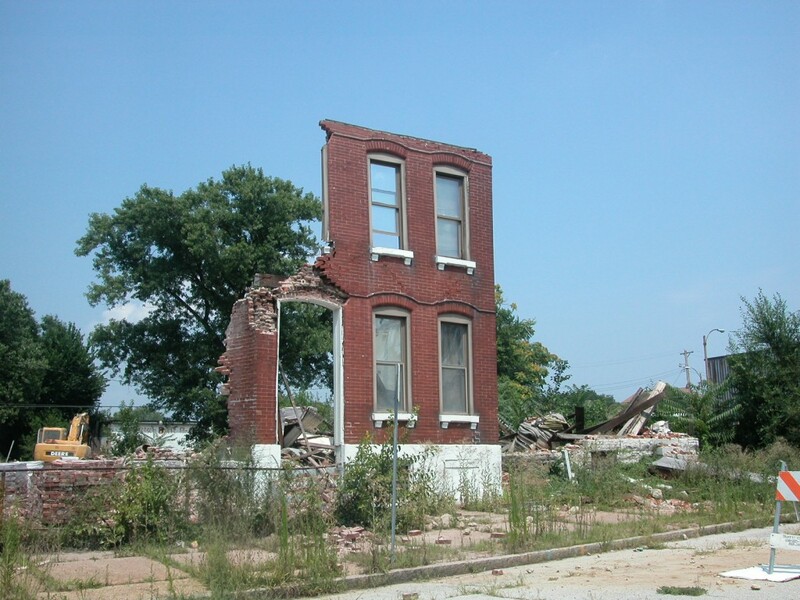 For the Marfa Dialogues, PRO’s Michael R. Allen and Lydia Slocum devised a program entitled 30 Days of Demolition that connects data and material collected from one month of wrecking vacant houses in St. Louis. Read more about 30 Days of Demolition here. The Marfa Dialogues take place July 30 through August 4 at the Pulitzer Arts Foundation. Do you have anyone covering the demolition of the 26 houses on Evans. Actually that entire neighborhood-very interesting architecture. I plan to take pics. Love your web page, which I just found today. 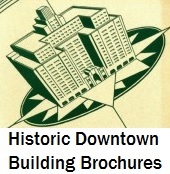 I am obsessed with saving city buildings and horrified by the mismanagement of this city. How is the city allowed to hold onto these buildings until they fall into utter decay?